One key to a successful and growing Rotary club is informed and enthusiastic members. Attending Rotary meetings outside regular club meetings will motivate you and your club will become stronger and more effective. You will expand your personal and business network of Rotarians from across the district and will enhance your personal leadership skills. 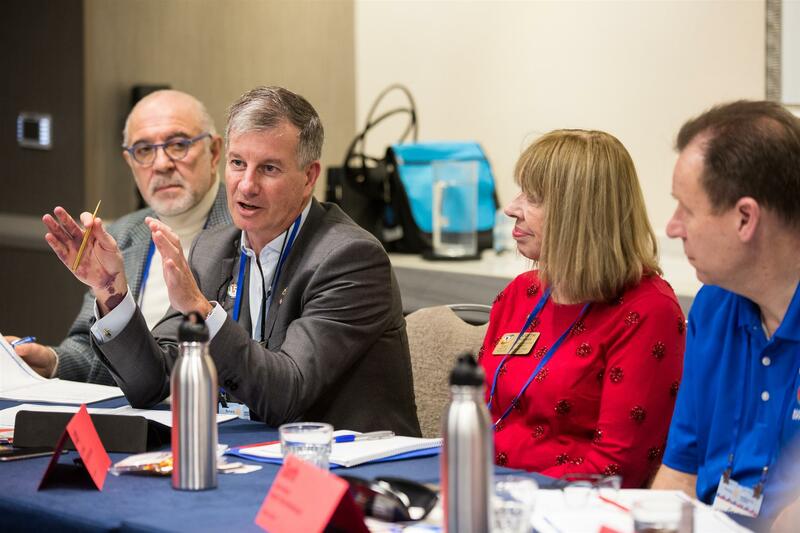 This is a great opportunity for your club executive and all members to meet District 5040 leaders and to share ideas with other Rotarians outside of your club. Perfect opportunity for incoming club officers, committee members, long time members and new members to learn more about Rotary. Every club in District 5040 wishing to apply for matching grants for service projects (both local and international) is required by Rotary International to qualify by having at least one member from their club attend a Grants Management Seminar every year. It is to the clubs advantage to have more than one member attend. Topics included will be Purpose, Grant Management, Successful Grant Projects, Applying for and Implementing a Grant, Oversight and Reporting, and Memorandum of Understanding. Attendees will learn about District Designated Funds, District Grants and Global Grants. Learn more details about our Foundation, particularly grant management at one of the following sessions. A minimum of one Rotarian from each club must attend a Grants Management Seminar. To make it easy for each club there will be five seminars held around our district. Club members may choose to attend any one of the sessions.